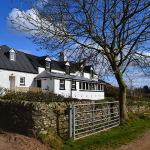 Bayview is a wonderful base from which to explore the unspoilt surroundings of Carradale, the Kintyre peninsula and the nearby islands of Arran, Gigha, Islay and Jura. 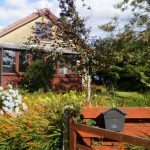 Nestled at the edge of the Seneval Woods near the Kintyre Way, Cuilidh Self-Catering (pronounced Kool-EE) is in a quiet part of Carradale village within a few minutes walk of most amenities, the harbour and Carradale Bay. Picture: Seneval Woods, just outside your door and on the way to Crow Wood, Bellenmeanach Wood and Century Wood. 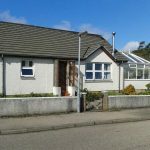 Kelmscott is a beautiful bungalow which is situated in prime position in the friendly fishing village of carradale. 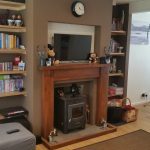 The house has been refurbished to a very high standard with a large concervatory which has stunning panoramic views of the sea, surrounding scenery, and the isle of Arran, With carradale harbour only two minutes walk away. The property also has a wide range of DVDs, CDs, books and PS2 + games for the guests to use. along with garden furniture and BBQ. 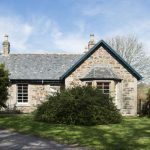 Mingulay is a delightful detached cottage in its own garden grounds in the hamlet of Portrigh, close to the beautiful fishing port of Carradale. 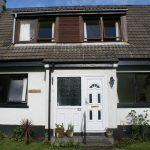 It is situated above an idylic secluded beach with stunning views over the Kilbrannan Sound to Arran. Rowanlea is set in its own grounds with plenty of garden space to the front, side and back. The property itself has been recently refurbished to a high standard with 5 bedrooms (3 of which are en-suite), large fitted kitchen with dishwasher, large dining/sitting room with open fire and a games room with pool table. Rowanlea is a five minute walk from the beautiful Silver Sands to the back and Port Righ (Place of the Kings) bay to the front. Plenty of parking space and easy access to local facilities. Saddell Lodge guards the entrance and wooded drive to the Saddell estate. Across the road are the beautiful ruins of Saddell Abbey. From here you can take a short walk to the tiny hamlet of Saddell. Seneval Cottage is a self catering, family friendly accomodation available from £300 per week. Carradale is a beautiful village on the east costs of Kintyre with an amazing sandy beach, golf course, bars and restaurants. Around 3 hours journey by car can be altered/ varied by travel by ferry via Portavadie or Arran Island. Shorehills is a luxury newly built detached property in the small fishing village of Carradale. 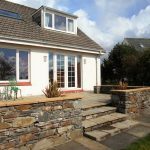 The house is elevated and boasts stunning sea views and the Isle of Arran. There is a large garden with wrap around decking so you can enjoy the views while listening to the waves lap on the shore below! Stargazer Cottage overlooks the golf course in Carradale. Close to shop, the hotel and the harbour. 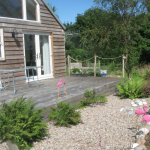 Sleeps 2-4 people, available/suitable all year round. Large decked area for sunny days and a multi fuel stove for Autumn and Winter nights. We have 4 stunning holiday properties on the estate, each with it’s own unique character. For families or groups, we have the stunning Servants’ Quarters which is a 3 bedroom flat in the castle itself and comes with exclusive access to our riverside sauna and hot tub. Couples can enjoy romantic getaways in one of our three one bedroom cottages – The Arch Cottage, Garden Cottage, which has it’s own wood fired hot tub, and South Lodge. 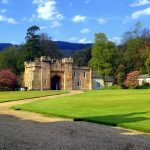 Skipness Estate has been in the ownership of the Oakes family since 1936, and has had self-catering holiday cottages since the 1950’s, all of which are traditional estate houses or conversions of. 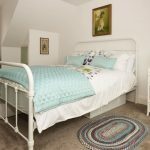 We have six self-catering holiday cottages, Bookings are week-long, from Saturday to Saturday, all through the year. Our three little cottages (MHAIRI'S takes 4, COLIN'S AND DOUGLAS are for singles or couples) have been delightfully created out of some retired farm buildings and are just perfect for a quiet break. Cheerily furnished and incredibly well appointed they instantly put you into holiday mood. Welcome to Ifferdale, a working family farm set in 780 acres of the idyllic Saddell Glen, 10 miles north of Campbeltown. 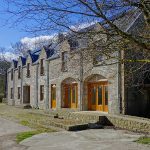 We recently renovated our farm steading buildings to create a range of comfortable and welcoming self-catering accommodation units for 2 to 14 people. Escape to The Postbox in Carradale on the East coast of the Kintyre Peninsula and unwind in the calm Scandi inspired interior, surrounded by beaches, forest walks and islands to explore. 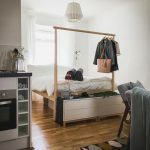 Connect to a slower pace of life, immerse yourself in the scenery and nature, and indulge in the many local eateries and Gin and Whisky distilleries. 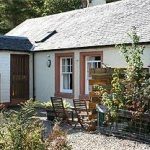 Located in the centre of the quiet fishing harbour village, The Postbox is metres away from Carradale Golf course and a 5 minute stroll from the sea.